Maya Dimitrova received her MSc in Psychology from St. Petersburg University, Russia, in 1885. She received a MSc in Psychology (by research) (with distinction) from Warwick University, UK, in 1995. 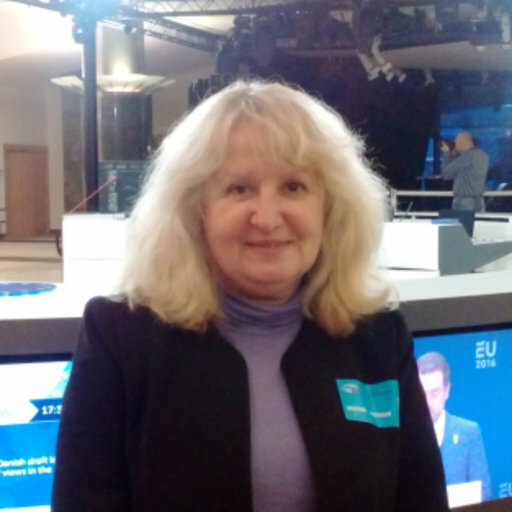 From 1989 she has worked on human-machine systems, human-computer and human-robot interaction, cognitive modelling and neural networks at the Bulgarian Academy of Sciences, currently at the Institute of Robotics, BAS. She obtained her PhD in Application of Principles and Methods of Cybernetics in Different Areas of Science in 2002. Since 2007 she is Associate Professor. Maya Dimitrova has specialised in Japan, Spain, Ireland and Germany. She has over 60 peer reviewed publications including participation in 6 monographs. Dr Iván Macía is the Director of the eHealth and Biomedical Applications Area of Vicomtech, an applied research center on multimedia, imaging, computer graphics and intelligent computer systems located in San Sebastian (Spain). Working closely with companies, health institutions and research organizations at the local, national and international level, in order to develop research projects and innovative solutions in the healthcare and biotechnology sectors. The group provides expertise in technologies such as biomedical image analysis, visualization and visual analytics, pattern recognition and data mining, knowledge engineering, advanced interaction, telemedicine and mHeatlh, and assistive technologies, among others. Applications include computer-assisted diagnosis, therapy planning, intervention and follow-up, acceleration of biomedical research by providing research support tools for bioinformatics and research platforms, active and healthy ageing, telemedicine and telemonitoring, etc. He also leads the eHealth group at Biodonostia Health Research Institute, within the Bioengineering Area. He works closely with the Innovation Unit of Biodonostia in the development of translational research projects in cooperation with Donostia Hospital and other health and research institutions and companies. Industrial Engineer, Automatics and Electronics Enginee from TECNUN, University of Navarra and has a PhD in Computer Science by the University of the Basque Country. His own research activities focus on biomedical imaging applications for computer-assisted advanced diagnostic, preoperative planning, intraoperative navigation and advanced follow-up based on medical image segmentation, registration, quantification, analysis and visualization technologies and is the author of about 40 publications in the medical image analysis and ehealth domains. He is currently involved in several Horizon 2020 projects in the eHealth area, involving decision support systems for clinicians and for patient self-management, Big Data analytics in the health domain and medical image analysis. 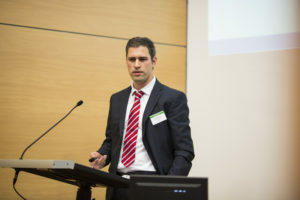 He is currently the coordinator of the H2020 Health project DESIREE – Decision Support and Information Management System for Breast Cancer (http://www.desiree-project.eu).